Last year, I called out the top five books I read in 2014. This year, I am compiling another top books list for 2015, but I’ve thrown in a little twist by selecting a top book in several categories. Again, the idea is to list the top books that I read in 2015. None of them were actually published in 2015. As I mentioned in my Goodreads review, I often claim to prefer novels to short stories, but Vonnegut is a master of both. Look no further if you’d like to see just how large a story can be communicated in just a few words. Find the rest of the review here. Each chapter of this book is an essay exploring a different connection between humans and non-human animals with great insight and expertly precise language, and though there is lamentation, there is also hope. Here’s another one that I waxed poetic about in my Goodreads review. Here’s a link if you’re interested in my ramblings. Placing the soul externally is not difficult. Just figure out how and where. This is the future of nature writing at the intersection of fantasy, myth lore, natural history, personal essay, philosophy, and even theology. It’s pastiche with several quotations celebrating the authors that have influenced Steve the most—from Edward Abbey to Robert Wolf—as well as full-color illustrations and typography by Andrew Driscoll and poetic text formatting that often had me wondering: what is this book I’m reading? Beautiful is what it is. It’s the kind of book that you won’t ever see as a mass market paperback. It’s far too precious for that. It’s a gift to all those who can’t live without wildness. I know it’s probably gauche to include my own book on my annual “Tops” list two years in a row. If you’d read Fracture, you’d know why it deserves to make this list, but you haven’t because it’s not out yet! Don’t take my word for it. Ask those who have gotten a sneak peak at the collection, like Mary Evelyn Tucker who says, “This stunning collection of essays, poems, and fiction is gripping and illuminating. […] Indeed, no where else has such a gifted group of writers been assembled for a clarion call to awakening for our future generations.” Preorder your copy here. I faced a few dilemmas in coming up with this list. The first, though these really aren’t in any particular order, is that I really wanted a “Best Graphic Novel” or “Best Sequential Art” category, but I really couldn’t decide. I’ve dabbled in four different series this year, and Neil Gaiman easily wins with the Sandman, but which volume? Number 5, A Game of You? Or #6, Fables and Reflections? I’m really not that concerned about it, but I wanted to acknowledge that I did, in fact, read enough comic books to warrant a subcategory here, but my indecision won out again. On the other hand, I didn’t read enough poetry collections in 2015 to really have a “Best Book of Poetry” category. This year, my poetry mostly came in small doses: in anthologies, literary journals, and online. So with that in mind and looking toward the future, one of my 2016 goals is to read more poetry, starting with the two books on my to-read shelf. Then I’ll have to go out and actually buy more poetry, which I should be doing anyway. Likewise, I really didn’t read much Murakami in 2015. How tragic! There’s another 2016 goal: must read more Murakami. So what were the best books you read in 2015? 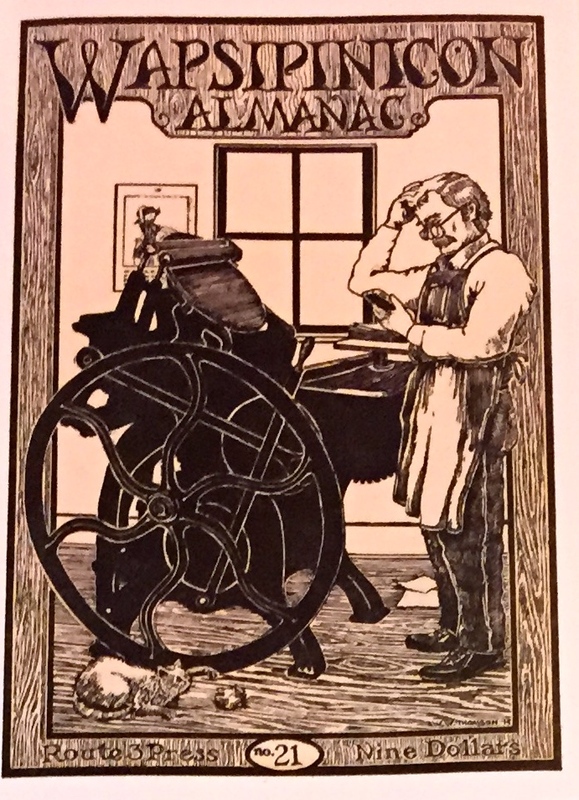 Though Leopold’s A Sand County Almanac was written in and about Wisconsin, Leopold was born in Burlington, Iowa, and that’s where his love of nature first began to emerge. 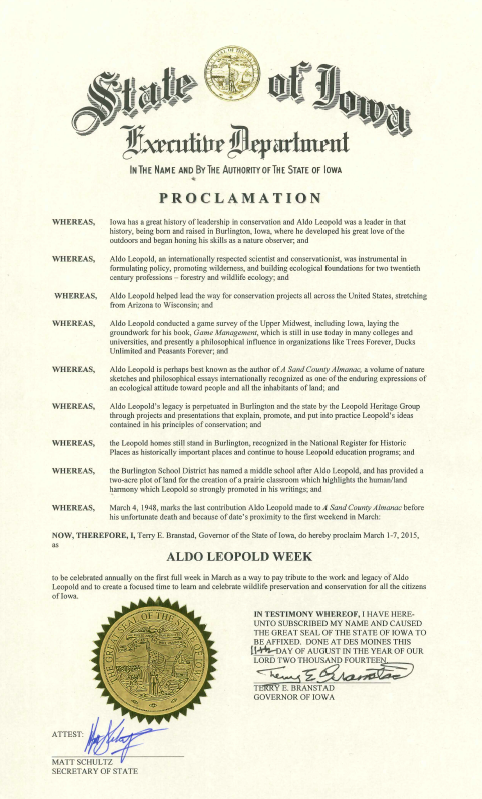 Last fall, the State of Iowa proclaimed the first full week of March as Aldo Leopold Week, a time to celebrate and pay tribute to Leopold’s legacy as a leader in conservation. As a writer, I also see Aldo Leopold Week as a time to celebrate and reflect on nature writing, a genre that influences my own writing deeply. I don’t define myself primarily as a nature writer because the term is limited, and I don’t build fences between what I do and don’t do, but my experiences writing about nature were certainly what inspired me to pursue writing seriously and remains a passion of mine. I wanted to take this opportunity to call out some amazing nature writing texts. There are hundreds of books shelved under the category of “Nature Writing” on Goodreads, and there are a lot that I haven’t read. I’m not including any books on this list that I haven’t read in their entirety, and while I’m ashamed to admit it, there are some really important books that I’ve only read in excerpts. It’s worth acknowledging that this list is more than 75% white men. For a long time, the genre was largely dominated by white men, but there are now plenty of excellent nature writing texts by women and people of color. I just haven’t read them all yet, and a lot of the ones to which I’ve been exposed, I haven’t had the chance to enjoy in their entirety yet. Don’t worry. It is a priority of mine. Many are sitting on my bookshelf right now, just waiting for their turn. Therefore, please don’t see this list as my nature writing canon–far from it. I can only recommend that which I know, and unfortunately, my formal literary education focused primarily on white men, and I’m still in the process of making up for lost time. Check out that Goodreads shelf I mentioned, and you’ll see a more diverse array of nature writing texts. One more thing worth noting is that I don’t actually use the category of “nature writing” to organize my own books on Goodreads. It’s too hard for me to define. I use the much broader “environment.” I didn’t want to overthink what is or isn’t nature writing for this blog post, so the following list is based on the Goodreads hive mind. If people are shelving it under “nature writing,” then I counted it. If they aren’t, then I didn’t. I expect controversy. Without further ado, here are just a few great nature writing books besides A Sand County Almanac with Other Essays on Conservation from Round River by Aldo Leopold. They appear in alphabetical order, not in any order of preference. Lots of omissions here, I know, and probably plenty of books that would be better classified elsewhere. The point is not to for me to establish the nature writing canon but to spark discussion, so discuss! What are your favorite nature writing books? What are the most offensive omissions (which may be either because I haven’t read a critical nature writing text yet or because the Goodreads community hasn’t yet shelved the work as “nature writing”)? What doesn’t belong on this list? Often we think of nature writing as nonfiction, yet a few fiction texts made the list–but no poetry. Does nature writing have to be nonfiction? Within nonfiction, do research (rather than observation) based texts count? Does any of this even matter? Though this is the first annual Aldo Leopold Week, communities nationwide have been celebrating Aldo Leopold Weekend on the first weekend of March since 2004. 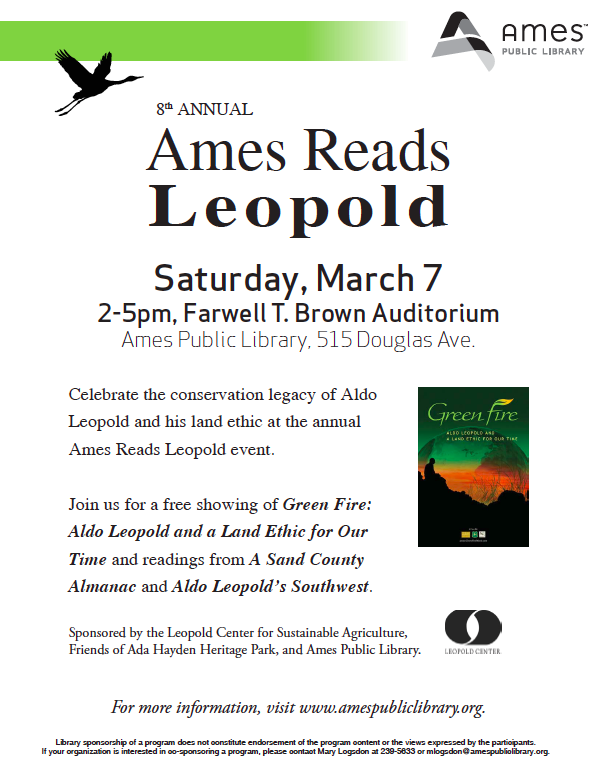 And Saturday, March 7, will be the eighth annual Ames Reads Leopold event. The event is free and open to the public. You can expect readings from Leopold’s work, a screening of the Emmy award winning documentary Green Fire, and an overall good time. It’s also a great opportunity to check out the newly renovated Ames Public Library if you haven’t had the chance to do that yet. Check out this news release for more information. Inspired by the lovely blog Pints And Cupcakes, I wanted to look back at the books I read in 2014 and call out a few of my favorites. P&C‘s Chloe Clark listed her top 15, but I’m just going to pick five because I don’t think I read nearly as many books as she did in 2014. To be clear, the idea is to list the top books that I read in 2014. Only a few of them were actually published in 2014. 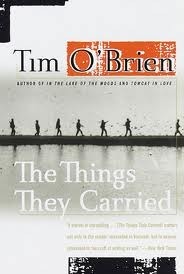 The Things They Carried – Tim O’Brien. (Here’s my short Goodreads review.) I know what you’re thinking. “This is the first time you’re reading this?” The answer is yes, and it shames me to say as much. First published in 1990, TTTC is one of the finest works of fiction I’ve ever encountered. If you haven’t read it yet, stop reading my words right now and get on it. I promise this post will still be here when you get back. 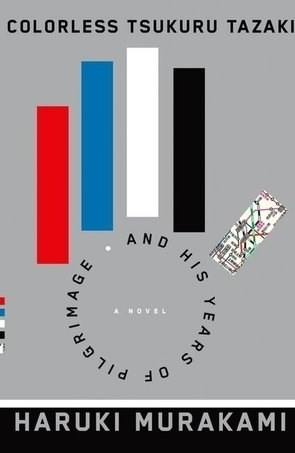 Colorless Tsukuru Tazaki and His Years of Pilgrimage – Haruki Murakami. (Here’s my short Goodreads review.) I love Murakami, and I try to read at least one of his books each year, though I’ll have to read more than that if I’m ever going to keep pace with his new work while getting caught up on some of his older stuff. I’ve encountered several negative reviews of CTTAHYOP (published in 2014), but they were mostly from people who are either just starting to read Murakami or else have tried him before and didn’t like it but maybe wanted to so were trying him again. So I strongly recommend it to Murakami fans, but I realize it’s not for everyone. 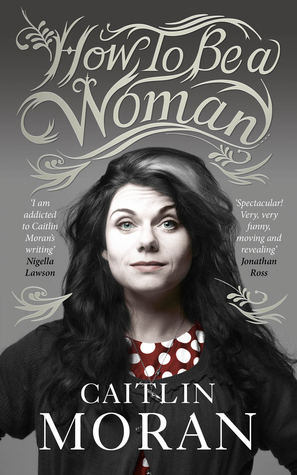 How to Be a Woman – Caitlin Moran. (Here’s my short Goodreads review.) I’d been wanting to read this one since I first heard Caitlin Moran on NPR in 2012. I actually surprised myself when HTBAW ended up the only nonfiction book that rose to the Top Five. I’m working on a novel for my thesis, so I guess I’ve been in fiction mode lately. But let’s not let that diminish how much I enjoyed reading Moran’s 2011 memoir. I read some great nonfiction books this year, but I devoured this one. 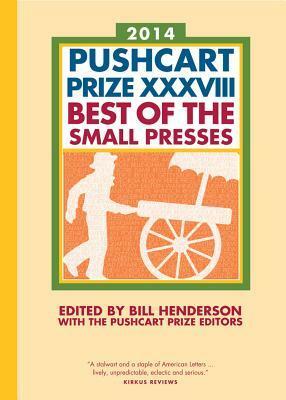 The Pushcart Prize XXXVIII: Best of the Small Presses 2014 Edition – Edited by Bill Henderson. (Here’s my short Goodreads review, where I rank my favorite pieces in each genre.) The quality of the nonfiction alone got this book on my Top Five list. Don’t get me wrong: there’s plenty of good fiction and poetry here too. But the nonfiction seemed of another class entirely. It inspired me to step my own essay-writing game up considerably. Several wonderful books almost made the Top Five, but these were the ones that made me feel the most. I’m looking forward to doing this again next year, maybe even with a longer list, though for the first time in several years I won’t be setting an annual goal. I love Goodreads – absolutely adore it – and I’ve participated in their annual reading challenge since 2011. It’s a fun way to hold myself accountable for spending as much time reading as I both should and want to without making it feel like work. It’s always so much easier to find a new show to binge watch on Netflix, but you have to rein that in somehow. Inevitably, at the end of the year, I was always scrambling to get my hands on shorter reads – novellas, poetry collections, graphic novels, chapbooks, you get the idea – or else finishing books I’ve partially read for some reason or another in order to meet my goal, which is fine because that stuff is good to read too, but this past year I really didn’t want to do that again. I just didn’t feel like it, and I’m a strong believer in doing what you feel like when it comes to reading. I wonder if there isn’t another way to do a reading challenge that goes beyond books. I love books – I really can’t overstate that enough. But this year, I’ve been trying to read more literary journals, magazines, news, blogs, etc., and I’ve also been doing a lot of editing – reading other people’s work over and over again (and I guess reading my own work over and over again as well) – and this type of reading matters too, even though I can’t log it into my Goodreads. Maybe I’ll set a 2015 Goodreads Reading Challenge in a few months, but for now my goal for 2015 is simply to read a lot and not just books. Are you on Goodreads too? Do you want to connect on Goodreads? Add me as a friend or follow me as a fan here. Pick up a copy of the latest Wapsipinicon Almanac (No. 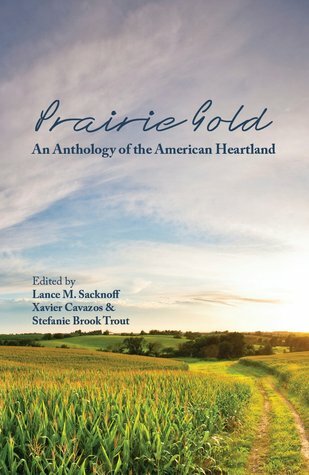 21) to read more of what Tad Boehmer had to say in his review of Prairie Gold: An Anthology of the American Heartland. 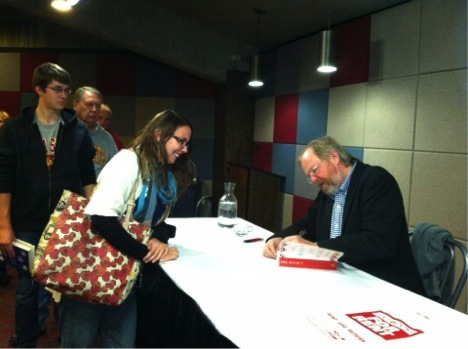 Last fall, Bill Bryson visited Ames, Iowa, for a reading. As a nonfiction writer, this was a dream come true. If nonfiction writing was baseball, Bill Bryson would be Babe Ruth. As far as I’m concerned, Bryson is a living legend. I contained my over-enthusiasm about meeting him long enough to lob him a question in the Q&A session and to have him sign my copy of his latest book, One Summer: America, 1927. At the time, I hadn’t actually read the book yet–it’s over 500 pages, and I’m in graduate school–but this winter, I finally sat down with One Summer, and I hardly came up for air until that “one hell of a summer” had ended. In short, it was fantastic. For the long version, check my book review for Flight Patterns, the Flyway blog.